Now let’s take a look at the list of improvements. The updated Airs can boast of the 5th generation Intel Core i5 and Intel Core i7 processors with Turbo Boost Speeds up to 3.4 GHz, Intel HD Graphics 6000 and Thunderbolt 2. Apart from that, the 13-inch MacBook Pro got a brand new Force Touch trackpad, just like the one that is available in the new 12-inch MacBook. 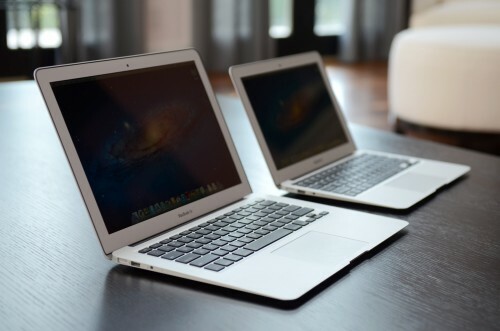 Apple also claims that the updated laptops will work up to 10 hours on a single charge. There are no changes of the look of the devices. “Today the popular 13-inch MacBook Pro with Retina display, 11-inch MacBook Air and 13-inch MacBook Air all received significant upgrades,” said Philip Schiller, Apple’s senior vice president of Worldwide Marketing. There are no mentions about 15-inch MacBook Pro, which was also expected to get a slight update this month. This means Apple will improve this laptop a bit later.